The World Balance Easy Soft shoes - Nice Rainy day shoes for only Php299! 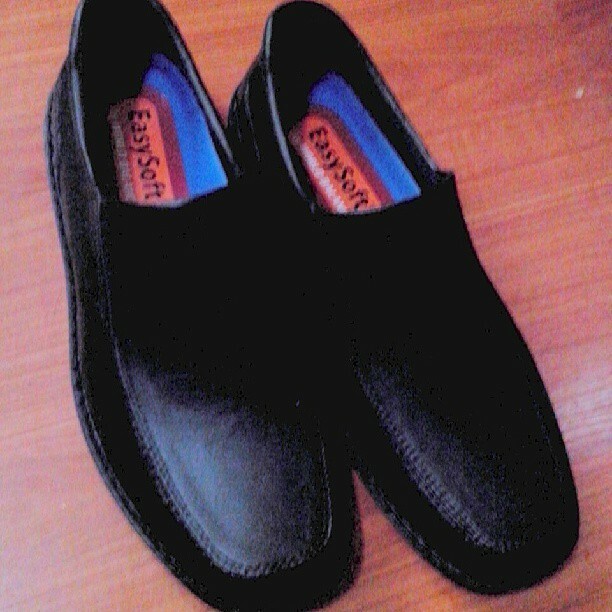 So when my wife was able to find a pair of rubber shoes for herself, I told her I want one of those World Balance Easy Soft shoes outside. they are water-proof. It was raining hard yesterday when I went out of the office for dinner, and my feet was protected from the rain. nobody in the office noticed that it wasn't actually made of leather. One downside, though, is that your feet could somehow get sweaty inside since the shoe is really air tight. A good pair of black cotton socks could easily solve this. The World Balance Easy Soft shoes come in different designs and colors: white, black and brown. I highly recommend these shoes to people who want a comfortable yet affordable pair of shoes. These shoes are perfect for the rainy days! Also, I think it would be very easy to wash them since they're made of rubber and the in-sole is removable. I plan to use this as an alternate to my usual daily leather shoes. Great job to World Balance for coming up with good products at low prices! Where can we buy this? We're searching for it.